Facebook was successfully hacked a few weeks ago. An estimated 50 million subscribers had their accounts compromised while Facebook continues to upgrade its security. It is disturbing this social media platform was broken into by cyber thieves. People are still getting over the shock. Employers should not ignore the risk caused by hackers. Anyone who uses social media for purchases can be in trouble. Employees who are compromised must rebuild their credit ratings and restore personal finances. The process can take weeks. The crime does affect productivity because of the distraction. Anything to help a person avoid hacker calamity is appreciated. Group legal plans don’t always help. Countrywide Pre-Paid Legal Services has a benefit to protect an individual from Internet vandalism. Cyber thieves rely on time. They believe that once they have hacked credit card information, they have several weeks before the victim knows what occurred. It gives these felons an opportunity to either max out the credit card or sell the information to someone else. The person hacked doesn’t know what happened until the credit card bill shows up. Countrywide believes that reliable information delivered immediately is going to help any victim. 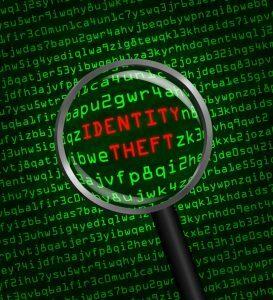 Our identity theft and credit monitoring plans rely on credit reports from three major bureaus to alert plan members to any sudden changes in credit history. The sooner a person knows what went wrong, the faster this individual will turn to the Countrywide plan for assistance. We respond with some of the best service, just as we do with our group legal plan benefits. We have two choices: The Platinum Identity Theft Protector Plan and The Premier Identity Theft Protector Plan. The types of service depend on which plan is adopted by the organization. One offers more hands-on customer service and monitoring than the other. Both, however, have $1,000,000 of identity theft insurance. This insurance policy has tremendous value. Rebuilding from a hacker attack is going to take time. There are reports to be filed and affidavits to be submitted. The legal fees can be expensive as well as all the filing costs. Countrywide provides this little extra, because we know how important it is for people recovering from such an attack. Countrywide Pre-Paid Legal Services permits choice in the group legal plan benefits. Naturally, we do the same with our identity theft and credit monitoring. The two plans mentioned above allow decision-makers to compare and decide which plan is best suited for their employees. We deliver the kind of service that calms a person down and helps the hacked victim reestablish credit integrity. The Countrywide service is beneficial to the employer. Anyone who has had their credit information stolen is under a great deal of stress. That can impact productivity and employers must prevent morale from being destroyed by anxiety. What Countrywide offers is a benefit employees are going to appreciate. It means a great deal to the ordinary person that his or her employer cares enough to assist in the case of a cyber theft. All our benefits, including pre-paid legal services are provided with high levels of emotional intelligence. Countrywide learned from experience with group legal plan options what it means to show sympathy and courtesy to plan members. We make a solid promise to every client that employees are treated with respect and their concerns are taken seriously. It is a trademark of Countrywide. We cannot ignore Internet crime. It is a multi-billion-dollar industry and it is not going away. We can, however, help employees protect themselves from financial disaster caused by hackers. Countrywide Pre-Paid Legal Services offers such assistance in addition to our group legal plan benefits. Our benefit relieves much of the anxiety and has the tools for restoring fiscal security. If you have questions about our benefits, please feel free to contact us. We are ready to provide all the information you need.